Tori Roberts of Ridgeland signed her National Letter of Intent with Arkansas State at River Hills Club November 16. Tori will receive a full tennis scholarship. 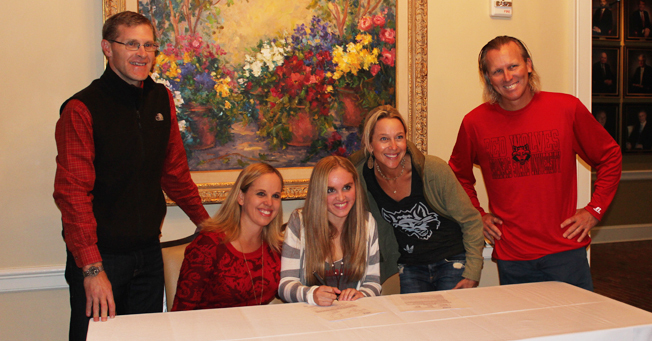 Tori was joined by her parents Stan and Colleen Roberts and coaches T.J. Middleton and Courtenay Middleton.